Welcome to MyTeachWorld. 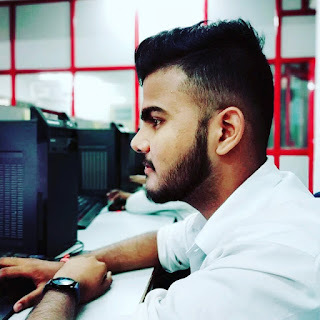 This is a newly growing tech site which is the help those people who want to learn about ethical hacking ,computer and android tricks or tips, security tips. This website updates you about all the latest news related to Tech, Also here you get security related articles . 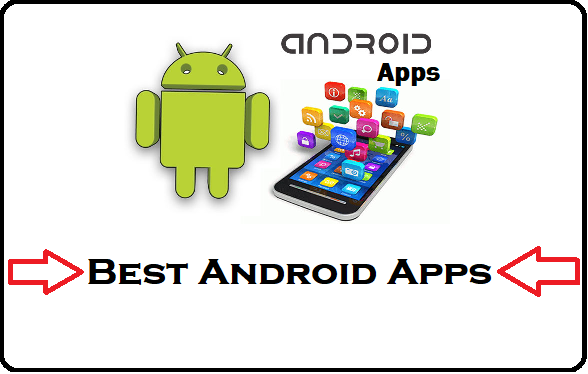 Today, most people use Android mobile and many apps from Google App Store download and use them in a smartphone. There are so many useful apps on the Google App Store but today I'm going to tell you about some of the top android apps that are very useful. [QRL Jacking] A New Social Engineering Attack On Whatsapp Web Session Hijacking | How To Be Safe ? [Facebook Trick] How To Create [Invisible] Blank Name Id On Facebook? WPS Office +PDF : At present Android has become an integral part of mobile life. 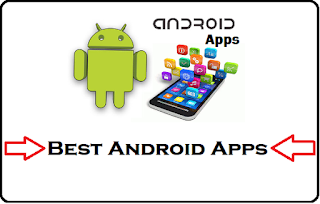 There are many Android apps that can make our work easier. One such application is - wps mobile office. WPS Office is an app through which we can easily create Documents (word, Exel, PPT etc.) created by ms office in computer (PC) in your mobile. Whether to type a letter, prepare a report, prepare a presentation or make a list, we can do almost every single thing that a PC does in ms office, through WPS Office in your mobile too. ES File Explorer : ES File Explorer is a great tool for organizing files and programs. This abundance comes with additional features like removing running apps, direct cloud drive storage (via Dropbox, Google Drive, or Skydrive) and an FTP client so that you can use it on both your mobile device and computer. Dango : It is said that a picture is equal to thousand words, the same Dago can prove to be equivalent to millions of words, in which there is an increased library of fingerprints, emoji and stickers on fingerprints. This message is sent with the help of any app, Which tells which angle emoji or gif will be right for that message. PixelPhone Dialer, Contacts : This is the best dialer. It is one of the most customizable and feature-packed phone apps. This pixel comes with different fonts themes for changing phone appropriateness. It has the ability to adjust the fonts. It also has customized dial pad and photo size. You can also block the call in it. It gives you a built-in caller ID. This is a free dialer in which you can also record calls and send it to you. OREGREEN is for $ 2.99 which you can buy from the Play Store. Bux: If you think trading in stock marketing is a dangerous thing and it can lead to your life, then bux transforms all things into games so that you can learn about stock marketing by playing games. Removes fear. Sleep As Android : If you are looking for an alarm cloak then Sleep As Android is best for you. You should try it once, this app proves that the alarm cloak can work with you as well as many other things. Time can also record your voice, whether you speak something in the night or not, you know it, you can set it at any time such as 15 or 30 minutes, it will give you time to wake up on time and There is also a reminder. Zinio : Some people believe that after the advent of the digital era, the era of print has ended. With the help of Zinio you can keep the print alive in the digital age, it facilitates access to thousands of magazines and oldest worlds of the world. You can buy single issues or subscribe to your favorite magazine. Xtunes App : Whenever there is a need to download latest songs, do not know how many websites have to wander, if it happens to you, then it will not happen anymore. With the help of Xtunes App, you can easily download latest songs and old songs. Besides Hindi songs you can download English, Punjabi, pop, regional songs, Vagra, one click and download high quality music. Showbox : Many people love watching Hollywood movies. If you also like to watch Hollywood Movies, TV shows then the showbox app is for you. With the help of this app, you can watch Hollywood movies in free, download movies with the help of showbox app. Pushbullet : PushBullet is a free android app. This application can save you a lot of time. It relieves the hassle of mobile checking every 5 minutes, so that you can easily send any file or link from your mobile to a computer in a very short time. And can send any file or link from the computer to the mobile. Pearltrees : This is a best file manager, which lets you create file collections, which can include photo web pages files and notes, you can set the settings according to the needs and create special file types or collection of themes. Snapseed : This is Google's Photo Editor which is very awesome. The interface of this editor is quite simple, Re-Touching can do very well in this photo editor. You will not be able to see any kind of advertisement in this photo editor. Snapseed can be used for re-touching. Adguard : When we use the Internet or an App, you have seen that many websites are seen to be very much on the App or on the App. In this way, we can not use the content given in the website or app correctly. And our mind gets deformed and anger starts coming. If this happens with you, the Adguard App can help you stop advertising. With the help of this app we can block AD on our smartphone. Lucky Patcher : If you want to make any changes or changes to your Android phone's Apps, games, then you can easily do it with the help of Lucky Patcher App. If you want to crack a game, App, this app will prove to be very helpful for you. To use this app your smartphone must be Root. [Instagram Hack] Creating instagram phising page And how to hack instagram account? [Facebook Trick] How To Make Stylish Name id on Facebook?